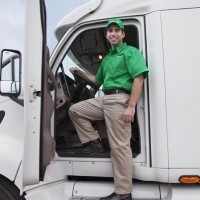 Household move - Decades of experience moving families across town or across the country have taught us the value of having well-trained people using the best equipment. That’s why Boer’s Mayflower’s professional packers are trained in packing methods which provide maximum protection for your possessions. Office move - Planning is crucial to minimizing the cost of an office or industrial move and it takes experience to develop an effective plan. Boer’s Transfer & Storage will help you develop and implement this plan minimizing the “downtime” of your operations. Auto move - Whether we move your vehicle “in-van” or on a car carrier, there’s no simpler, safer way to have your vehicle transported to your new home. International move - We have trained moving consultants who can come out to your home to estimate weights and measurements of the goods needing to be moved, as well as to discuss special needs for packing or crating delicate items. 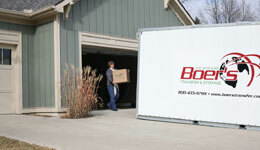 Looking for an easy, affordable solution to your moving and storage needs? Boer's portable containers are designed and built with the quality we demand. "What would we do without you? You bring such joy to us and our customers. We thank you for your professional service – but most of all your wonderful friendships."